Home / Yeezy Season / Is it Yeezy season already? Is it Yeezy season already? It seems like every year there's a season for Yeezy. Looking back over Kanye's career you could say that he's a master at getting attention, in the words of GOOD Music artist Pusha T "He's methodic with his motives." Some say Kanye is crazy, while us over here at Isocialite think its all planned. We believe Kanye began his takeover at the top of 2015 with his Adidas Yeezy Boost release and then the release of his clothing line during New York Fashion week in dramatic fashion. Following Yay's fashion week takeover he took his talents across the pond to conquer a new territory. Kanye literally mobbed at the Britt Awards with UK rappers to debut his single "All Day" once again in dramatic fashion. Then Kanye pulls the controversial stunt releasing Kim K's naked photos on his twitter with the caption "Swish!!!" Next came the feature onslaught. Almost every major artists debut single featured Yeezy. First Big Sean's "Blessed" then Ty $ and Wale's "Summer League" then the highly anticipated "U Mad" with Vic Mensa and lastly the powerhouse collaboration "Smuckers" on Tyler The Creators project. Yeezy isn't finished yet him and his women took a trip to Armenia to pay there respects and Yeezy ended up performing in dramatic fashion once again by trying to walk on water, it looks like he's taking that "I am a God" stuff to heart. His guerrilla take over doesn't end there either he recently leaked the track "Midas Touch" that had the internet going up on an Tuesday all while he has us still waiting for All Day remix featuring Kendrick. 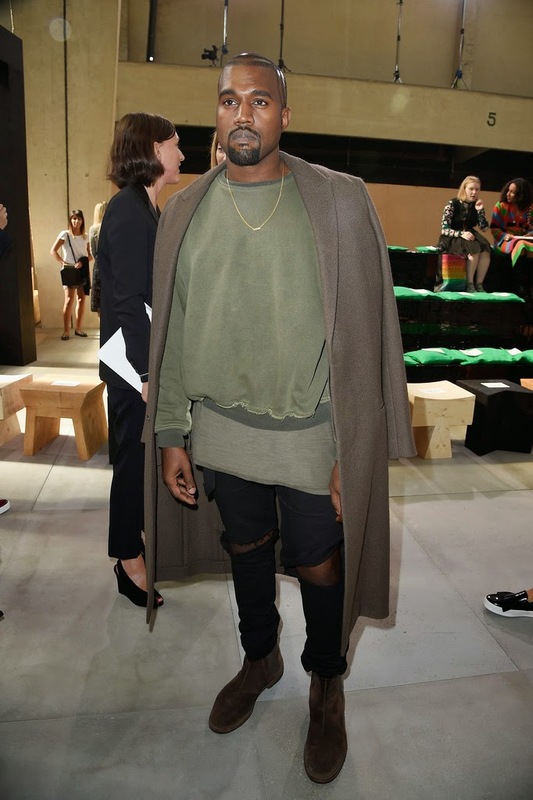 Yeezy is setting us up for the release of his next album "So Help Me God," so stay tuned for what he does next. In the mean time listen to some of Yeezy seasons finest below.